Ken provides strategic input and visionary support to the Western Ag Global team and the entire Western Ag Group of Companies. Ken Greer grew up on a mixed farm near Ceylon, Saskatchewan. Along with his father, he operated this farm for many years, and still holds land in the area. 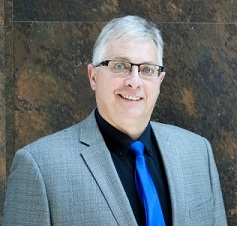 Ken obtained his Bachelor of Science from the University of Saskatchewan in 1985. After two years as a research officer in crop science, he returned to school and obtained a Masters in Soil Science in 1989. Ken started a consulting business in 1990, then incorporated Western Ag Innovations Inc. in 1994 with the main goal to promote the use of the Plant Root Simulator (PRS®) technology. Ken takes an active involvement in teaching and educating at all levels. Agronomy, Soil Fertility and Ag Business Entrepreneurship classes regularly invite Ken to lecture. High School and Grade school commitments to teach resource management, Junior Achievement Entrepreneurism and food traceability and accountability are important investments into our future that drive Ken. Ken was recently recognized as a finalist for the EY Entrepreneur Of The Year™ 2014 Awards.